Hiring well & employee retention is one of the marks of a successful security company. It can also be one of the most difficult and impactful processes a company owner can deal with. A lot of small business owners wear many hats in their organization; they will start out doing everything from marketing and operations to sales. Many will supervise their officers in the field or walk sites themselves for a time. With success comes the need to delegate — you can’t do everything yourself forever. In time, you need to find the right people to take on each of these essential roles. Despite what many people think, security is a customer service industry — and a people-focused industry, above all. The officers and managers you hire are the face of your company. For this reason alone, good hiring practices are key to success. In the security world, your talent for looking over a person’s credentials and knowing how they’ll be as an employee goes a long away. 1. Are you willing to raise prices? In order to attract business, a lot of company leaders will whittle their operations down to keep rates below market. Of course, these companies start out with exceptionally slim margins. Hiring new people usually gets offset in one of two ways: prices go up or profit margins get slimmer. Getting stuck in a race to the bottom isn’t desirable for any security firm, new or old. There’s always someone who will be willing to go lower on price than you. Many of them will break labor laws or pay people under the table. For companies who are staying above the board, that makes it an impossible race to win. In reality, you want to win the contract without being the lowest bid. If you are going to raise rates, are you in a position where you can comfortably do so? This isn’t so much a question of “can you push the margin” as much as it is one of “are you creating value for your clients?” And, equally important: do they know it? In the security business, no news is good news, but it can also make it look like your guys aren’t doing anything. Do you create the kind of impactful incident reports that illustrate what your officers do? In order to raise your rates, you need to be creating a value that your customers will pay extra for. If you can’t raise rates on new clients and still win contracts, you aren’t in a position to hire. 2. Are you ready to onboard a new person? Every company owner has their own way of running things, and showing new hires the proper procedures takes time. Big corporations have people on staff who are tasked with showing new employees the ropes. Chances are at your company, that task is on you. Before you hire someone new, ask: do I have onboarding practices for the role in place? You can’t just drop everything to onboard a hire, but you also can’t hire someone and give them no direction. The solution to this problem comes from preparation. Documenting a role in your company makes bringing new hires into the fold easier. Document your procedures for post orders, contract best practices, documentation, and client interaction. That way, you have a record of how you want things done that can be made into training documents for new hires. 3. Does this role have a direct impact on revenue? Hiring is never a revenue neutral process. Company leaders can either take on employees who generate revenue (and create more operational costs) or help guide operations (and increase overhead). Finding the right balance is important. That’s not to say that hiring is a cost sink, though. Security professionals know better than most that making an investment that doesn’t directly generate profit can improve outcomes across all operations — isn’t that what security services do for their clients, after all? Hiring an operations person can free you up for sales. Hiring sales should free you up to do operations. Understand how your company operates and where you need help — don’t just hire for momentary need. Take a step back and think — is this role going to generate revenue by improving our client success? Make your decisions using both dollars and sense. 4. Do you understand local hiring laws and practices? No hiring guide should overlook the legal side of things. Don’t set yourself up for trouble. Consult with your labor attorneys to make sure you are within the law during the hiring process. In a state like California, new hires may need to have specific certifications, licenses, and/or qualifications in order to do essential jobs in your company. 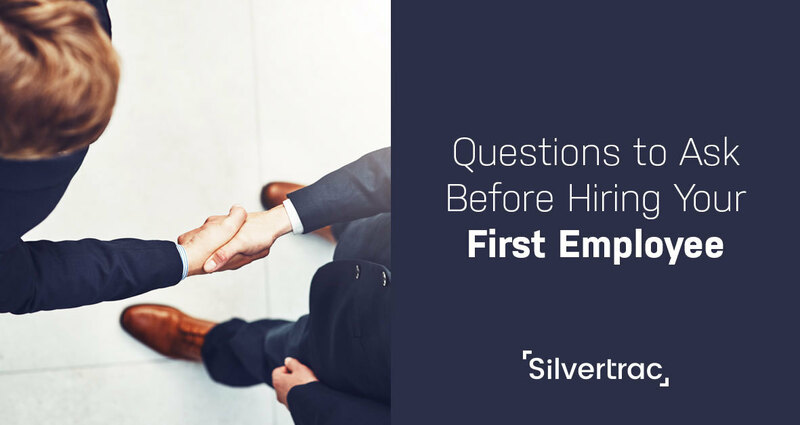 Before you hire your next employee — and especially before hiring your first employee — take a step back and see how that decision will impact your company. Is your decision a product of steady, sustainable growth or could your resources be used better elsewhere? Are you ready to offset the new payroll costs through higher prices or other cost cutting measures? Are you ready to onboard someone that you hire in an efficient way? Hiring is a necessary part of growth. A growing officer team and strong crew behind the scenes is essential for a successful company. With a little planning, you will find the right people to make your company flourish. Find out how our solutions will increase your team’s efficiency and make your job easier. 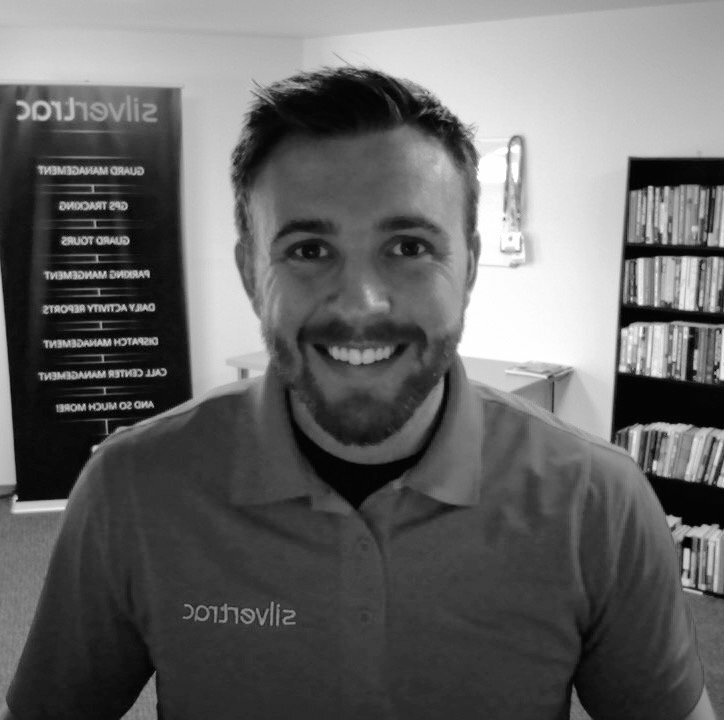 Johnny is a Customer Success Enthusiast for Silvertrac Software who is passionate about business, technology, and (of course) our customers! Johnny spent time in the security industry in Business Development, Marketing, and Operations before joining the Silvertrac team.